Mantri Serene, an ongoing residential development by Mantri Developer is located in Pallavaram, Chennai South. The project offers opulent spacing 1BHK, 2BHK, 2.5BHK and 3BHK apartments and penthouses which are equipped with all the conveniences and facilities to meet the needs of potential homebuyers. Chennai?s realty industry is on a rise as its well-organized realty landscape houses a wide range of residential spaces ranging from affordable units to luxurious apartments. The city has welcomed the people from different walks of life and has provided them with finest realty solutions coupled with various facilities necessary to lead a comfortable lifestyle. Set up in 1999, Mantri Developers is a leading real estate group which specializes in the construction of residential as well as commercial spaces across the nation. The group has completed some of the residential projects in different zones of Bangalore including Mantri Webcity, Mantri Vantage, Mantri Blossom, Mantri Signature Villas. Where is Mantri Serene located?  Pallavaram, a prime residential locality for house seekers in Chennai South. What are sizes of apartments in Mantri Serene? The apartment sizes in the project range from 835.0 sqft to 2545.0 sqft. 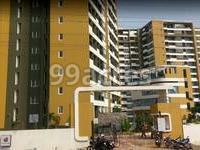 How much is area of 1bhk in Mantri Serene? The area of 1BHK units in the project is 835.0 sqft. How much is area of 2bhk in Mantri Serene? 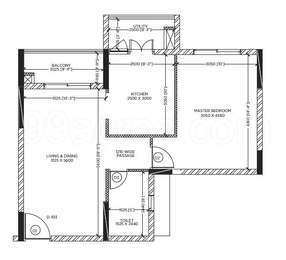 Two-room units (2BHK) in the project are available in an area of 1075.0 sqft to 1590.0 sqft. What is total area of 3 bhk in Mantri Serene? 3 BHK units in the project are available in a size of 1280.0 sqft to 2545.0 sqft. How much is the actual area of Mantri Serene?The area of the project is 4.42 Acres. Set up in 1999, Mantri Group is a key real estate player delivering world-class commercial projects, IT parks, residential properties and shopping complexes. In a short span of time, the developer has successfully delivered more than 6,000 residential homes and launched over 20 projects. Mantri Builders is also known for building the first ultra-luxury residential apartments with complete 360 degree view in the year 2003.
esidential projects in different cities, including Chennai, Bangalore and Hyderabad. With an aim to expand its customer base in the coming years, the renowned builder plans to focus more on hospitality, residential, educational institutions, IT parks and retail sector in Pune, Hyderabad, Chennai and Bangalore.